Kinesiology students take mission trips to practice caring for patients, learn what it means to have a servant heart and put their gifts to work helping those in need. Every January since 2011, Alan Jung, dean of Samford's School of Health Professions, leads a team of students, alumni and professionals to serve the people of the Dominican Republic to operate a mobile medical clinic, treating patients who otherwise might find it impossible to see a doctor. 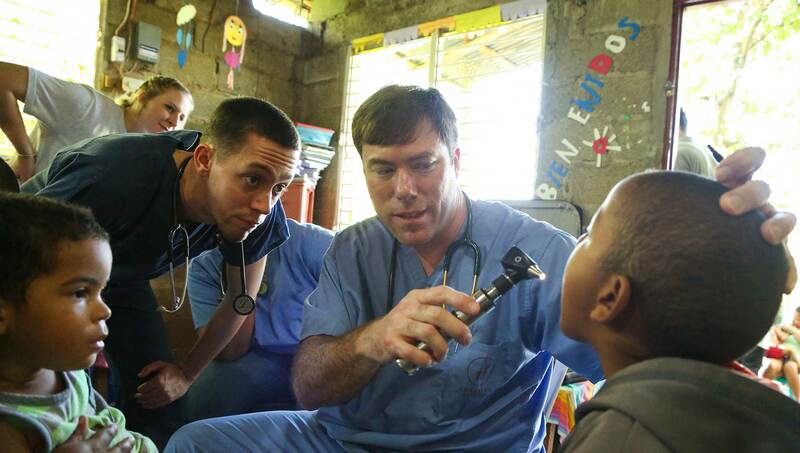 The team travels through Dominican Republic as a medical clinical, moving from village to village, often returning to the same villages each year with the goal of sustaining efforts in the areas and building relationships. The trip always takes place during the first two weeks of January. The trip's cost varies from year to year, but estimated, the trip will cost between $2,000 and $2,500. For more information, contact Alan Jung at apjung@samford.edu.